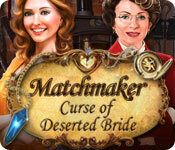 Matchmaker: Curse of Deserted Bride is rated 2.9 out of 5 by 55. Rated 5 out of 5 by upsysydaisy from Not like other matchmaker games! Matchmaker games have always been disappointing. But Cursed Bride in the title made me try once again. What a surprise! This was just a wonderfully fun game and was so busy. The color and graphics were beautiful. The hidden object scenes were really full of items, took you back and forth to different locations. They were not easy as you might expect in a matchmaker game and the items were not girly or wedding type. I loved them! By the way, click on the angel on the desk above your steaming cup of tea for a little treat at the opening of game. I loved everything about the game, it was very long and had a fun storyline. The story begins with a bride being stood up and the town went into a funk because of some kind of curse. So now our matchmaker moves into town and gets involved with everything and tries to solve the mystery of the curse while working on her matchmaking. The matchmaking involves lots of preparation as the successful couples approach wedding day. Not just a matchmaker, she is also a caterer, interior decorator, event planner. Busy, busy, busy. And the detective in her has discovered a person with a grudge. Just please try this game. 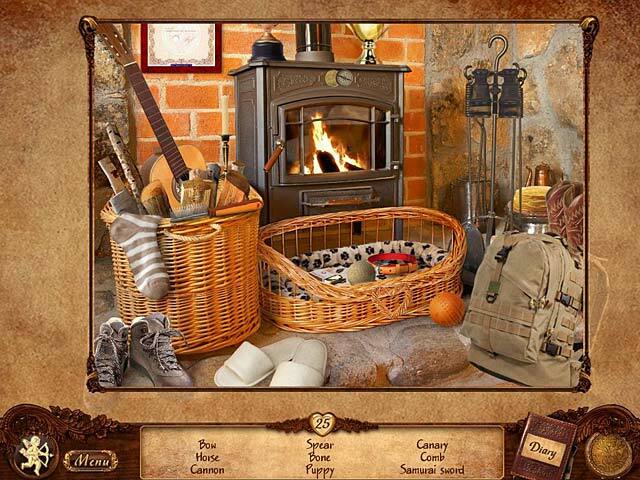 It is fun and contains an extra little thing to look for in the hidden objects. I highly recommend this game. Rated 5 out of 5 by sandra523 from Enjoyed playing so much I finished in two days Enjoyed playing so much I finished in two days!!! More please! Rated 5 out of 5 by Linda_in_Aussie from Good Fun Factor and Under-rated This game seems to be under-rated. No it's not for everyone as it isn't as sophisticated as the current new generation of the games being released that are so popular. High percentage of HOGs and I thought the puzzles were different from the usual run of the mill. Seemed to have alot of imagination and creativity put into it. It's a calm, relaxing & entertaining game. I almost didn't download/purchase it because of the low rating but I'm glad I did! Rated 5 out of 5 by Jem_Jerrica_Guy from Love takes patience. And that's what this game requires. 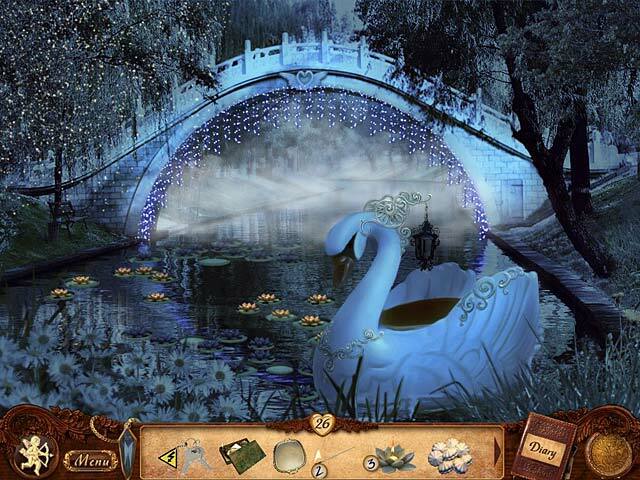 This is not a dark themed game like the most popular hidden object games out there. Hidden Objects are across two to five locations a scene and you must move back and forth between them as objects move up the list. The soundtrack is relaxing and is good for anyone who has the patience finding well hidden objects. No voiceover, but you can enjoy the music meanwhile. Rated 5 out of 5 by FlorencePS from I love the Matchmaker series Just like I like them, HO w/puzzles interspersed. My fave. For those who just want to be entertained without too much hype. Rated 5 out of 5 by romanceauthor from What a fun game. Loved it! Wow, I was surprised low the low ratings on this game. I found it to be very fun. The puzzles were fun, different, and very unique. I absolutely loved this game and had a blast playing it. I'd love to see more like this... without the voodoo dolls and curses. Those were the only things I didn't like about it. Quite honestly, I'm sick of games that are all about curses, zombies, werewolves, evil spells, bones, dead bodies etc. I wish Big Fish would come out with more family oriented games. Like the Big City Adventure games, Gardenscapes, Mystery PI etc. Rated 5 out of 5 by splash1234 from Different games for different people!! Not everyone is going to like EVERY game! I appreciate that Big Fish comes up with all the different variety of games...it means they are thinking about all of us, not just ONE type of person! Thank You for such a pleasant different game. The graphics are nice and the story is fun. There is a lot of different things to do. Mini games and HO's and I loved the antique car, cleaning the park, redoing a room, finding dolls, sorting stuff, and a lot more. It was a very relaxing game to discover after a hard night of work. Thank you so much for this game. I am buying it, will also replay it now and then. Nice change from the Dark HOPA games even though lots of them are also fun. :) I do recommend this game for those that want to relax and try a change of games. Its fun to be open minded enough to enjoy all kinds of games!!!! Rated 5 out of 5 by a41249 from Great story line The matchmaker comes to a town that has not had a wedding in 20 years. Of course she will fix everything. I have the other matchmaker game & I find this one as good if not better.Ho's scenes a bit cluttered but not to difficult if you take your time. The mini games are okay , you can skip if you don't want to do them. I enjoyed this game very much. I bought it as soon as demo was over. Great great game . Rated 5 out of 5 by jkuci from Just great fun! I played the whole game (untimed) straight thru and enjoyed it alot! It took me about 6 hours. I wasn't very thrilled with the other matchmaker games but this one had drama, good graphics and actual stories that meshed through the whole game. There is a big variety minigames, as well. Shooting targets, matching items, placing inlays, completing jigsaw puzzles as well as repairing alot of things - like her room, a car, a night club..... I really just had fun with this game! Rated 5 out of 5 by yolanded from a good game of evasion without too many thoughts. 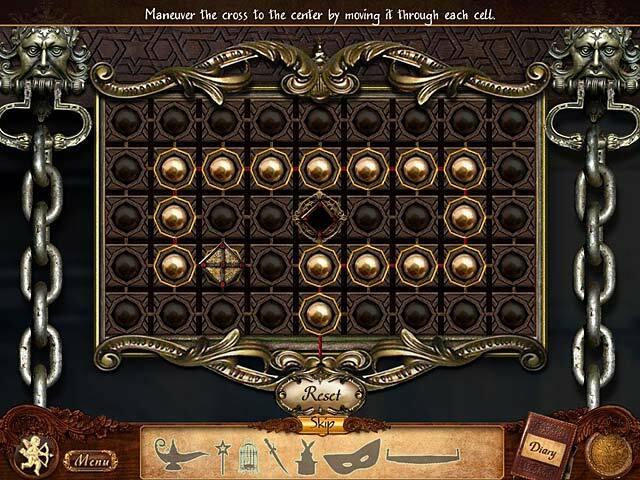 it's a nice relaxing game fun, I did the whole demo, we are used to plays a little more advanced, perhaps, but in my opinion deserves a good consideration, we also want this type of game with beautiful colors a set of puzzle is not too complicated and the classics hidden objects, a good game of evasion without too many thoughts. Help unravel the town's scariest secret and learn the story of an abandoned bride. Lift a mysterious curse and help the townspeople find love again!